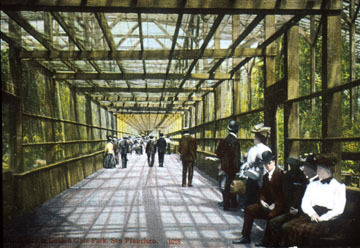 In 1892 the Aviary was constructed in the upper Rhododendron Dell. The structure then raised up above the tops of the trees and a portion was cover in glass for the more delicate species. In 1930, when the most of the animal exhibits in the Park were moved to the new Fleischacker Zoo, the Aviary was moved to a small structure near the Children’s Quarter. Few images of the original structure exist, but the footings can be found in the upper dell. 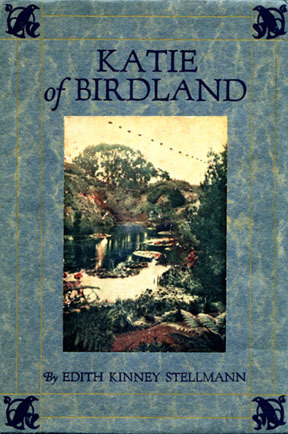 In 1917 a small book entitled Katie of Birdland was published describing the Aviary and it inhabiters. By personifying the feathered population, Edith Kenney Stellmann speaks of values and sentiments of the time. On a larger level, the book reflects the profound impact the Park can have on the creative spirit. The book is presented here in entirety for your education and enjoyment.